Kris Aquino's Resignation to All Her Shows Full Video Interview! Kris Aquino is now creating another noise in Philippine TV. After her controversial TRO against ex-husband James Yap, Kris once more gave a shocking announcement! The Queen of All Media is resigning to all her shows on TV including "KrisTV," "Pilipinas Got Talent Season 4," and "Kailangan Ko'y Ikaw." The announcement was made via the interview of the Aquino's sisters by Ted Failon in "TV Patrol." 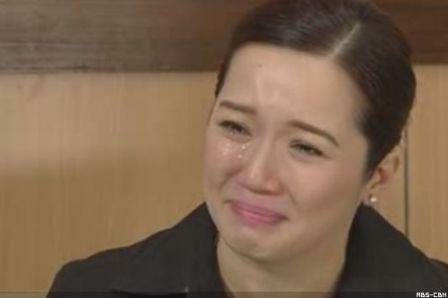 Here is a transcript of Kris Aquino's emotional announcement in via ABS-CBN's news program "TV Patrol:"